Mid facelift is a cosmetic facial surgical procedure in which the surgeon targets the nasolabial folds, the sagging cheeks (not including the double chin) and the eyelids, all of which require elevation in order for patients to achieve a youthful look. The candidates for this procedure are ones which have a good neck and descent of the cheeks and eyes and mid-face with jowling and deep nasolabial folds. Overusing fillers in the nasolabial fold and jowl area can be counterproductive and could actually produce a very unnatural appearance. In order to achieve the most natural and youthful look, Our doctor's lift addresses the 2 aspects of aging in the mid-face: descent of the midface from gravity and volume loss in the mid-face that occurs with aging, giving a hollow area under the cheeks and a fuller area in the jowls. This is done by repositioning the jowl back into its original home over the cheekbone, in essence improving the gravity effect of descent but also volumizing the area which lost volume. 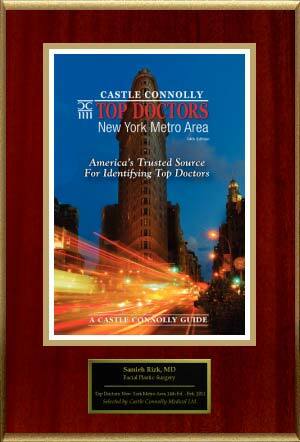 Our doctor explains that his philosophy is to match the right surgical procedure to the right patient. He will not perform surgery that gives the patients a "tight" and plastic look, but instead focuses on maintaining a natural youthful appearance after surgery. Our doctor's Mid Facelift technique was designed to perform a modified deep plane surgery under the muscle and jowl fat layers, allowing for a more natural facial definition over the jawline and greater precision. This lift also heals more rapidly than more superficial lifts which cause more skin bruising. As an expert in the field, Our doctor developed techniques that use smaller incisions which are well hidden in the hairline and inside the ear, as well as behind the ear, taking care to preserve the hair. A three dimensional telescope (a small camera-like tool) is used to give the surgeon a more precise view on a high definition 3d screen for a more precise view of the internal face using smaller incisions around the ear. This minimally invasive procedure is in contrast to much larger scars and less precise visualization of "traditional" older facelifts. Often using this technology results in less trauma by preventing excessive tissue and blood vessel exposure, thus quickening the recovery process. This is a stealth-like operation where incisions are made, the surgeon inserts the device (3D telescope) to help him/her get a clearer view before repositioning the fat and muscle layer of the cheek and jowl, returning them back to their original home in the upper part of the cheek. Our doctor believes the vector of elevation is very important for a natural outcome and the vector of lift should be towards the hairline and ear (upwards and to the side), not sideways and not vertical. Vertical lifts create too much wrinkles around the eyes and horizontal lifts distort the mouth. Our doctor also avoids using drainage tubes after this procedure and will sometimes incorporate the use of tissue glues in a deep plane mid facelift for a more rapid recovery and less bruising and swelling. As a result, Our doctor's mid facelift allows patients to go back to their normal activities within 7-10 days following surgery. Herbal medicine should be taken both before and after surgery in order to help decrease the pain and speed up the recovery. Our doctor has a special herbal regiment which he will recommend to expedite your recovery. Avoiding drainage tubes, which are used in many older facelift surgery, also decreases scarring and pain, as well as , avoiding a foreign tube in the face which decreases infection rates. Many patients opting to get a mid facelift also choose to undergo an eyelift or endoscopic browlift at the same time to correct a sagging brow or excess eyelid skin or fat. The so called "mini facelift" or a "weekend lift" is a new media term to describe a quick, minor facelift surgery with fast recovery. Mini facelift is intended to allow patients to go back to their usual activities much more rapidly than the traditional facelift surgery. Mini facelifts procedures are claimed to better suit younger patients who are in their 30's or 40's since it is designed to meet an individual's needs to reduce or eliminate sagging or drooping of specific areas of the face such as the neck, the jawline and the nasolabial folds. However, these lifts typically lift only the skin and not the deeper tissue and result in an unnatural appearance and do not last more than 6 months. These media-named and hyped procedures were not officially approved by any of the scientific plastic surgery associations as of yet. Some of the problems associated with these lifts are their lack of longevity and the "stretched", "pulled" look they can produce. Furthermore, these lifts do not address the neck, jowls or brow adequately. Our doctor offers many types of partial facelifts and necklifts which heal within 7-10 days and create a natural and long-lasting result. The idea to lure the public into a "minilift" is not based on scientific proven data or grounds and is a marketing too. However, Our doctor does a customized-type facelift depending on your degree of facial and neck aging. This custom lift may start in late 30's or early 40's with an isolated necklift and may progress into a partial lower facelift or a mid-facelift, or in mid 50's or 60's into a full facelift/necklift procedure. It is important in any discussion on mini facelifts to warn consumers that there are many MEDIA-HYPED named lifts-lifts given specific catchy names for the consumer- claiming certain results in a one-day recovery. These claims are not necessarily true and the Facelifts mentioned are usually either not surgical facelifts or are merely short-lived facelifts that do not generate natural-looking results. Although these Media-hyped named lifts may have catchy names and claim great results at low costs, they usually do not last more than six months. The longevity and natural appearance of the face are integral components to Our doctor's approach to facelifts. Our doctor chooses not to have a specific media hyped name to his lifts, rather, he names the various mini facelifts or shorter scar facelifts based on the concept of partial facelifts-- lifting specific areas of the face and neck. For example, Our doctor has specific partial lifts which entail smaller scars and heal more rapidly. An example of this is the mid-facelift which improves nasolabial folds and jowls. Another example is the lower facelift which improves the jowls and jawline definition. There is also the necklift which improves a loose neck or the upper facelift which improves the brow and crows feet region. Candidates for mini facelifts tend to be either younger or much older than candidates for traditional facelifts. Many patients in their 40's and much older patients in 70's or 80's are opting to undergo mini-facelifts to look better and recover faster. Older patients opt to do these much quicker facelifts because of the more rapid recovery. Candidates may choose this approach because they are healthy and feel well inside and their facial appearance may not reflect their vibrant inner self. Or, they may be doing it for job competition with younger candidates. Or they may have gotten a divorce and are looking for a new life partner or are simply interested in having more options when it comes to dating. Older patients in their 70's or 80's are opting to undergo mini facelifts due to the short operative time and their more rapid recovery, and although the mini facelift may not give the more dramatic result that a traditional facelift may achieve for the older patients, it does provide a significant improvement with a more rapid recovery-hence the benefit and risk ratio is excellent with a high benefit and low risk. 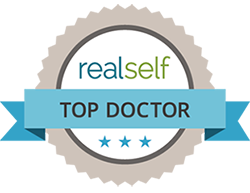 Our doctor has also noticed older patients in their 70's and 80's opting to look younger because they feel well and want to look better to reflect how they feel. Very often, Our doctor may prefer the mini facelift for these older patients as well since the anesthesia is sedation or local anesthesia alone. The procedure takes about one hour and the recovery is short. As such, this becomes an ideal facelift for an older person looking for improvement in the sagging tissues in the jowls and neck. Patients in their 50's and 60's tend to undergo more traditional facelifts. For any patient undergoing a mini facelift, Our doctor still requires medial clearance by the patient's medical physician. He also requires that the patient avoid blood-thinning medications such as aspirin, Motrin, vitamin E and fish oil supplements for two weeks prior to and two weeks after surgery. Our doctor names mini facelifts or partial facelifts based on the area that is lifted. These partial facelifts are characterized by longevity, a natural appearance, a more rapid recovery, and a smaller scar than the traditional facelift. Keep in mind, the mini facelift is one of those vague terms that can be easily misunderstood. In general, it refers to a quick and safe procedure involving very small incisions to correct specific areas of the face, including the jowl only, the neck only, or the midface only. A mini facelift can also refer to a facelift only with very little neck work or a necklift with very little work in the face. A mini facelift could also mean a partial facelift which addresses a specific area of the face, for example, the midface only, or the jowls and lower face only, or it can sometimes refer to an isolated necklift (this is because the neck is considered part of the traditional facelift). As we age and move into middle age, many people find that their skin no longer has flexibility, elasticity and muscle tone. When this occurs around the lower and middle part of the face, it can result in the creation of jowls. One way to correct this is with a mini facelift, which has become a popular alternative to the more invasive full facelift procedure. 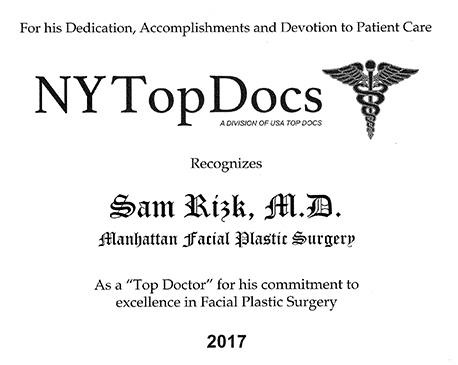 From his office in New York City or from pictures sent via the Internet, Our doctor evaluates a patient's facial structure, skin and muscle tone to determine the best possible procedure to meet the patient's expectations. One of the key benefits of a mini facelift is the quick recovery time, in large part because the procedure may be performed with local rather than general anesthetic. Another advantage is the reduced expense of a mini facelift compared to a full facelift. Scarring is minimized as well, with small incisions made behind the ears. As with many of his surgical procedures, Our doctor uses an endoscopic high definition visualization system to perform a mini facelift. This system allows for smaller incisions, enhanced recovery time, and more precise results, with higher safety than traditional visualization techniques. 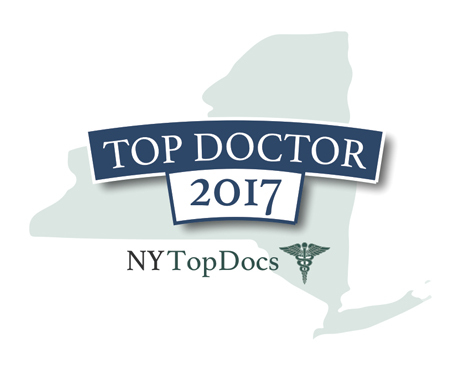 The benefits of shorter recovery time can be very attractive to patients living in NYC and other major cities where time is money. In fact sometimes a mini facelift is referred to as the "weekend facelift." A mini facelift procedure is also better suited for younger patients who are in their 30s or 40s, in addition to the very older patients, as it is designed to reduce or eliminate sagging or drooping of certain areas of the face such as the neck, jaw line and nasolabial folds. In general, Our doctor believes that the best person for a mini facelift is a person beginning to show the first signs of aging and desires a less invasive procedure. However, those concerned with deep wrinkles in the brow and forehead areas and loosening of the skin of the neck should consider a more conventional approach (usually patients in their 50's or 60's). People who request this procedure are not necessarily film stars or celebrities which is a common myth. 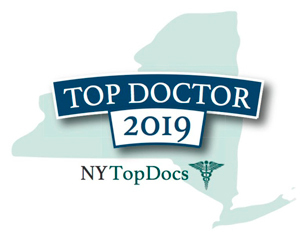 Our doctor finds his patients come from all walks of life including housewives, school teachers, professionals, athletes, and regular people without regard to status or wealth. With advances in endoscopic technology and surgical techniques, Our doctor has the specialized the equipment and skills needed to turn the clock back for aging faces of men and women who want to look more youthful through mini face lift surgery. This rapid surgical procedure has become more popular because it can lift a jowly looking face by tightening loose muscles and skin while leaving minute incisions concealed inside and behind the ear. Also, because general anesthesia is not usually needed for a mini facelift, the recovery time for these procedures is a lot shorter than what would be required for a traditional facelift. Candidates must also have realistic expectations and be prepared for a healing period of at least a few days. Generally, there isn't much pain involved but a candidate cannot exercise for at least 2 weeks following the mini face-lift. 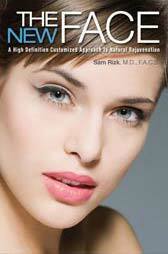 A mini facelift can be combined with eyelid rejuvenation or laser skin resurfacing as well. Some patients also choose to perform a minimally invasive rhinoplasty with the mini facelift. 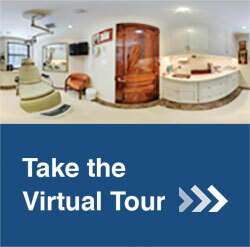 Before choosing any procedure, all options must be discussed with your plastic surgeon. 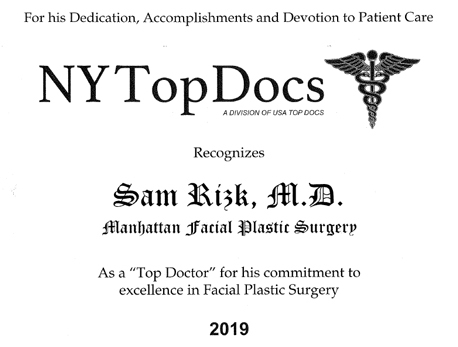 Our doctor specializes only in facial plastic surgery and is available for consultations on mini facelifts or other procedures in the face and neck from his office in New York or via the Internet. 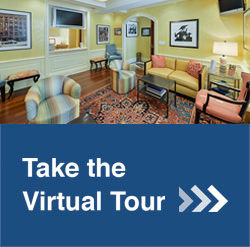 In addition to an in-person consultation, Our doctor offers Internet consultations after he has reviewed your pictures that are sent. Many perspective patients choose Our doctor from many parts of the world due to his specialized expertise in plastic surgery in only one area of the body, the face. 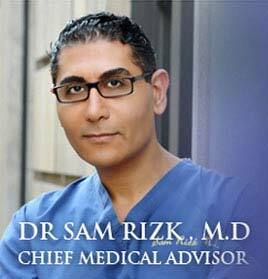 As a double board certified facial plastic surgeon with his own certified operating room theatre on Park Avenue, is Rizk is one of only a handful of surgeons with this expertise. His involvement in research, publications, and teaching all over the world is evident if you look at his resume. 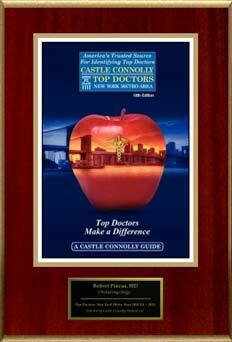 He is a regularly requested lecturer at plastic surgery conferences worldwide.